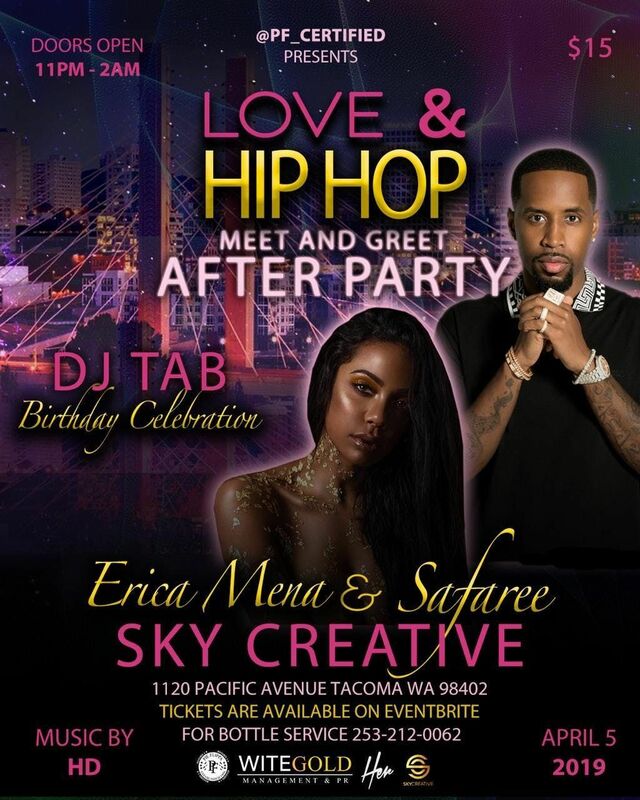 PF Entertainment Presents: Love & Hip-Hop in the Northwest Meet & Greet with Special Guests Safaree & Erica Mena & Bithday Guest DJ Tab. Pre-Sale $15 Entry. 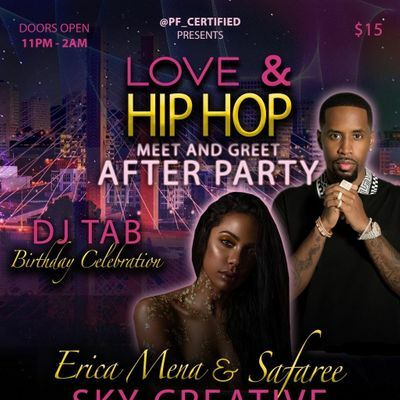 VIP $250 includes Table for (4) people bottle & $25 gift bag.